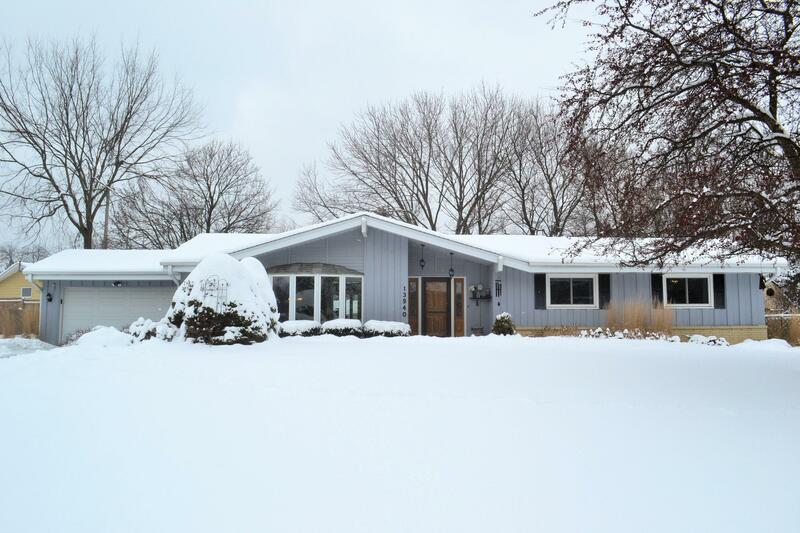 Beautiful, meticulously maintained sprawling 3 bedroom, 2-1/2 bath ranch in desirable New Berlin location. Conveniently located near the best shopping of the area, lovely parks and respected schools. Welcome home to over 1800 sq. ft. that is freshly painted and neutrally decorated. As you enter, you are greeted by the bright & inviting living room that opens into dining room. Perfect for entertaining! Eat-in kitchen boast loads of light and great counter space for prepping that special meal. Cozy family room features stone facade gas fireplace and door leading to outside patio. Spacious master suite with private, tastefully updated master bath. Second full bath also updated with ceramic tile and newer fixtures. Two additional bedrooms. Conveniently located first floor laundry.